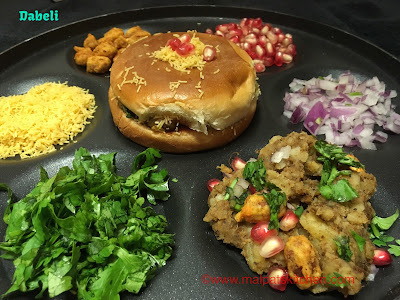 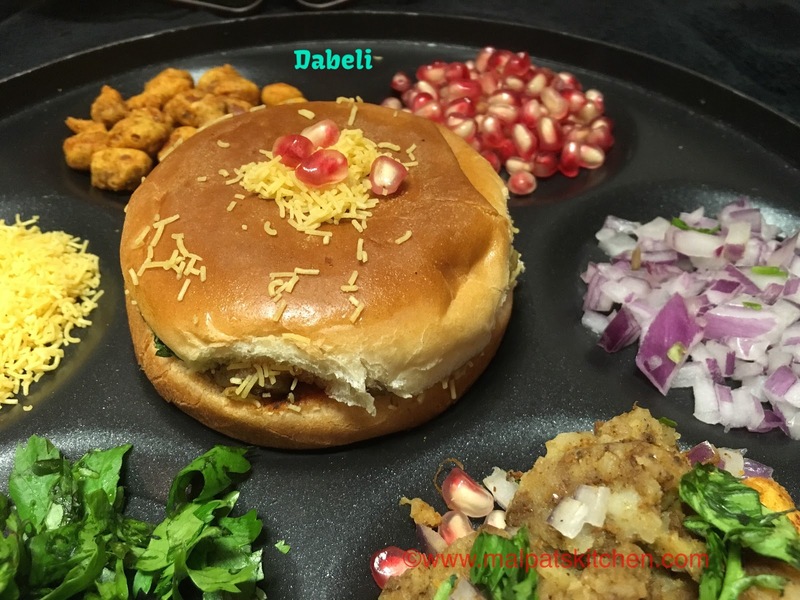 "Dabeli"...a very famous street food, originating from Kutch, Gujarat means "pressed" in Gujarati language. 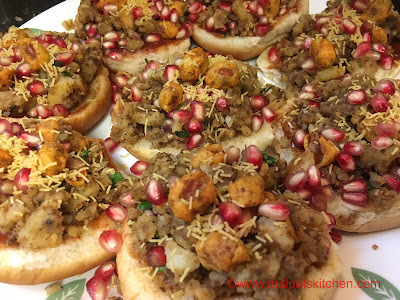 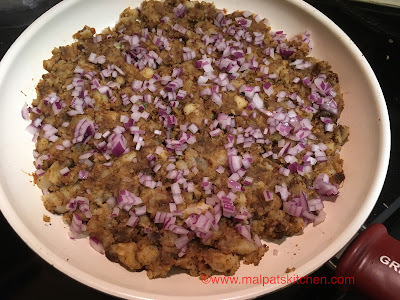 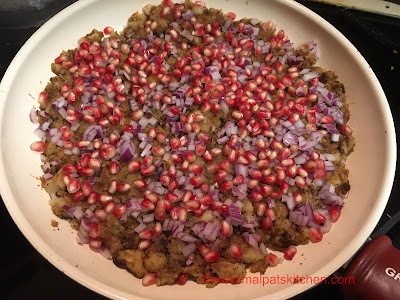 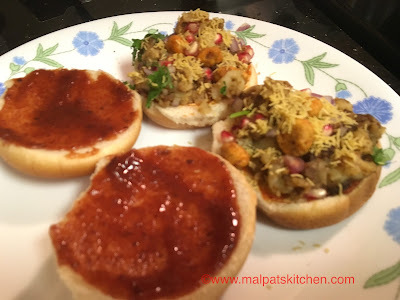 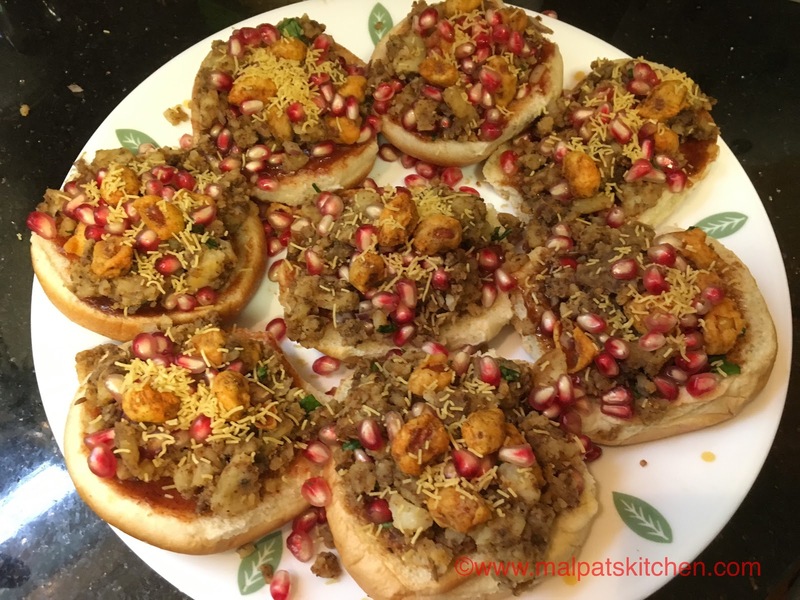 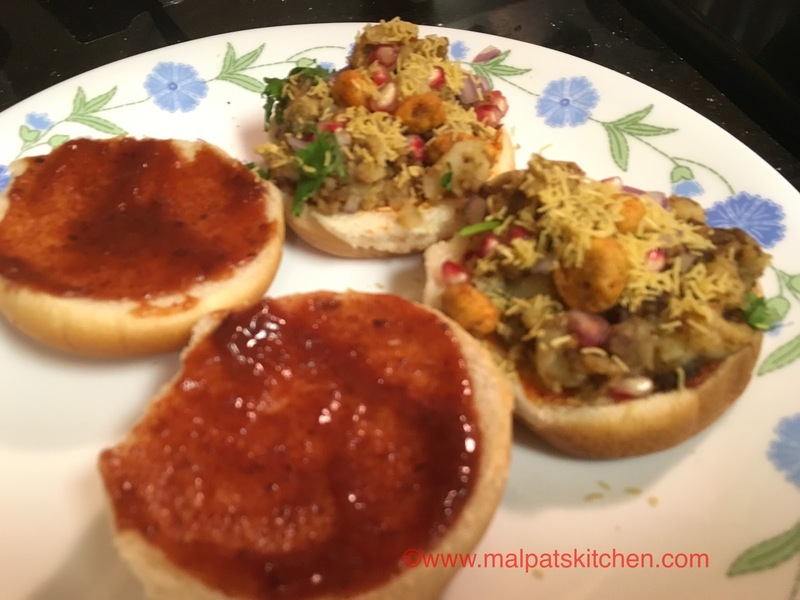 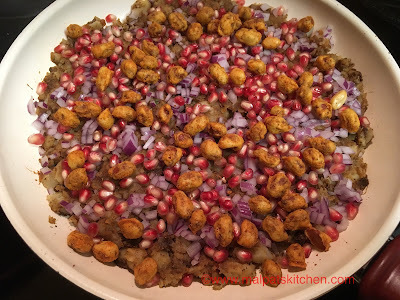 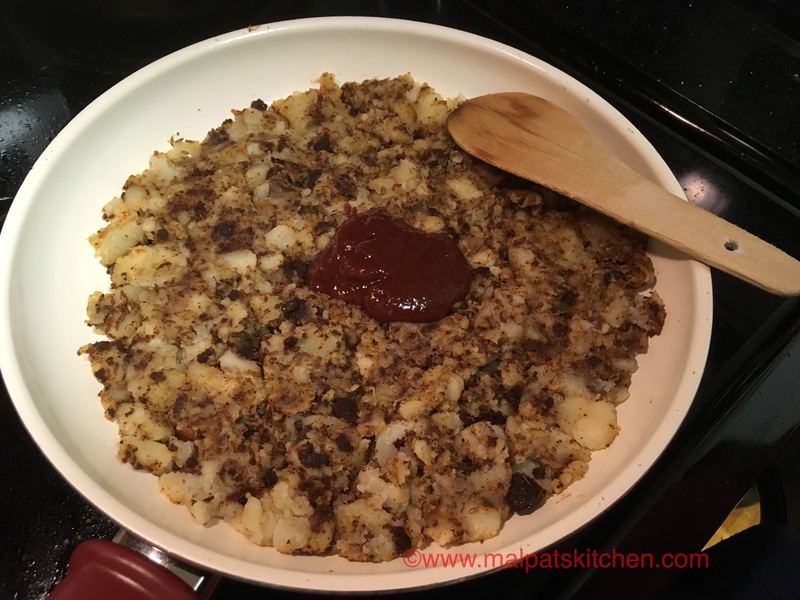 Spicy potato mixture is stuffed in between 2 buns or 2 pav buns, some chopped onions and pomegranates are strewn on top, some red garlic chutney and sweet chutney smeared, and some masala peanuts topped, and grilled slightly on tava. 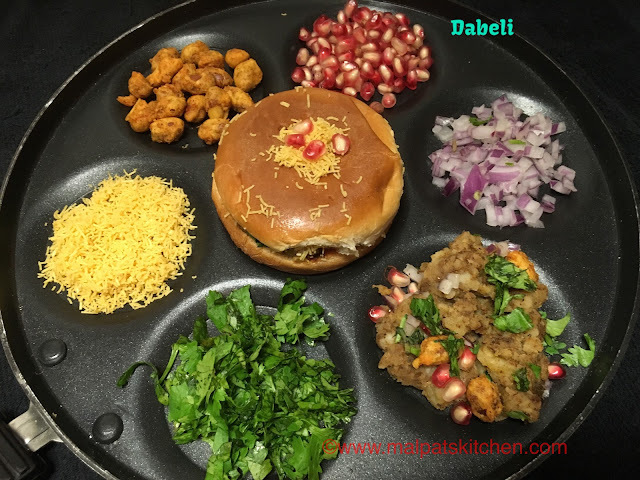 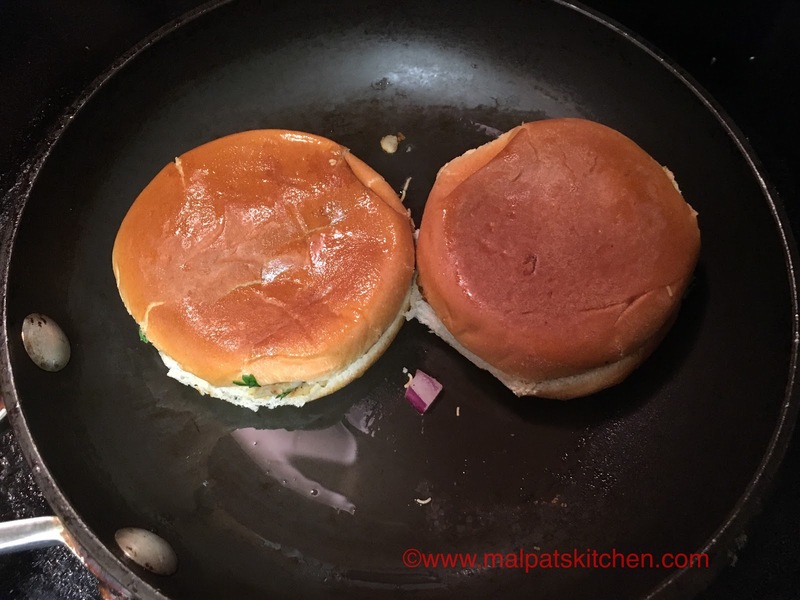 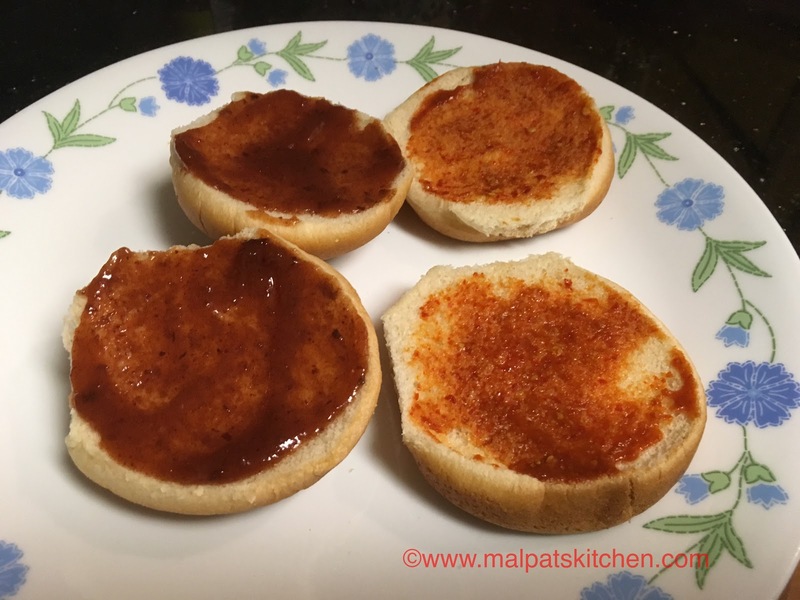 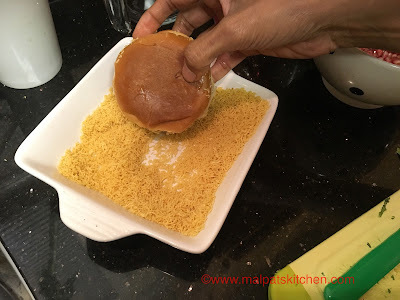 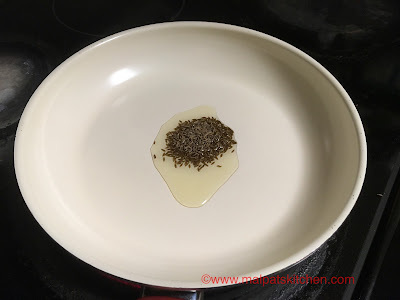 Home made Dabeli masala powder has been used here. 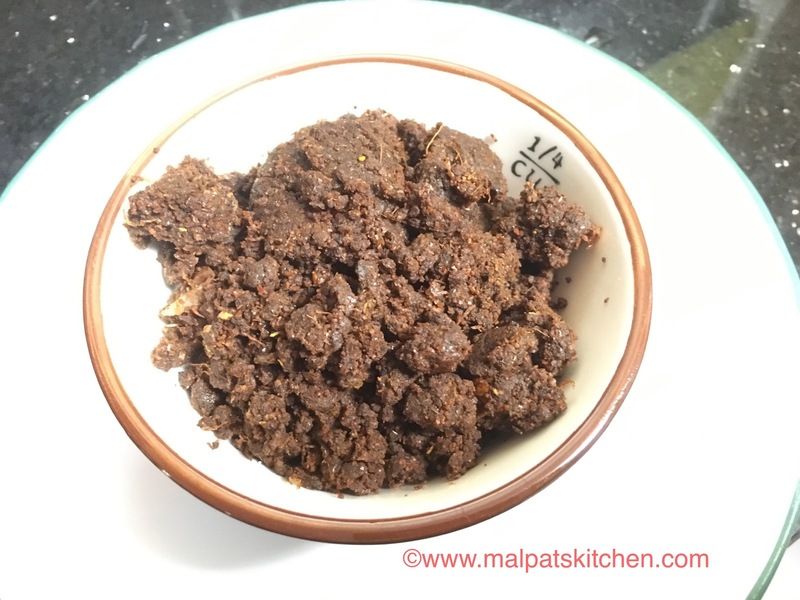 Masala peanuts - 11/2 cups (store bought). 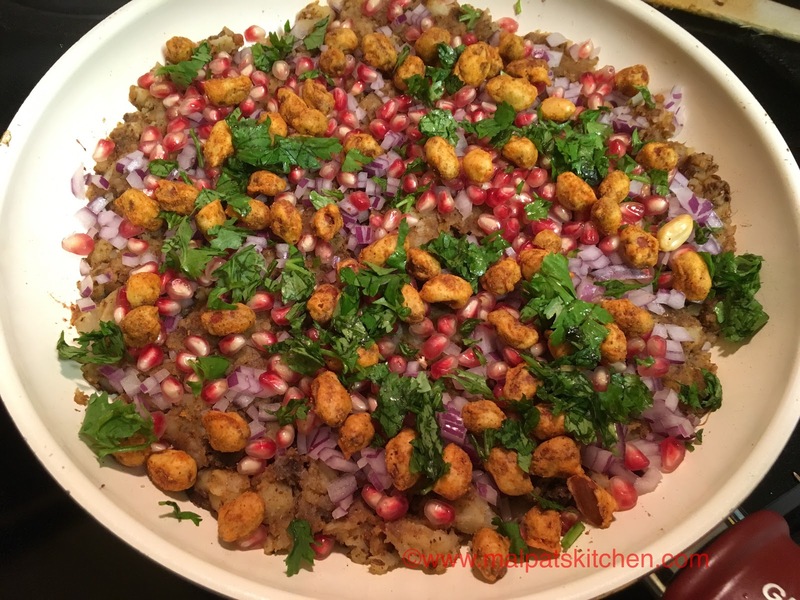 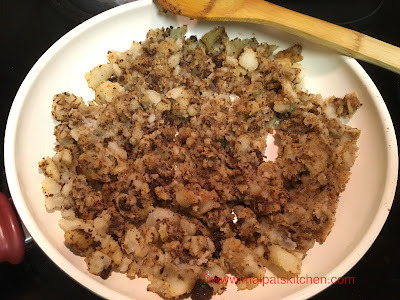 If masala peanuts are not available, roasted and salted peanuts can be used. 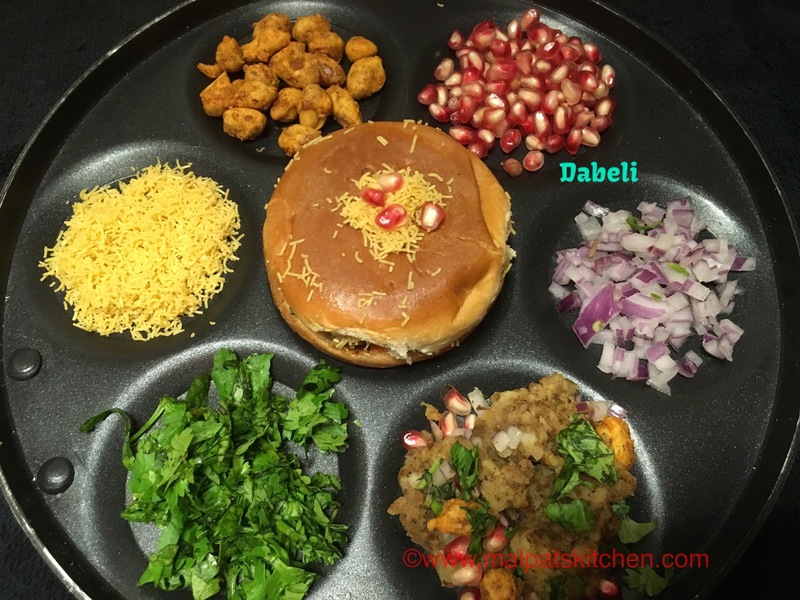 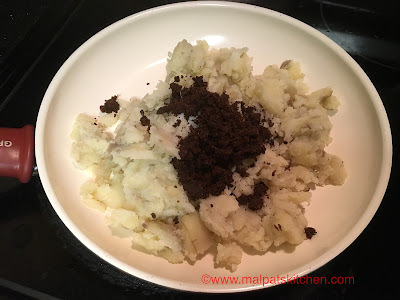 * Dabeli masala powder can be refrigerated and stored for months. * Spicy red chutney and sweet chutney can also be stored in the fridge.